Though I am no movie buff ~ it is cinemas, that we see honest and efficient cops – people love them too .. .. … in real life, a cop’s life is tough and difficult. 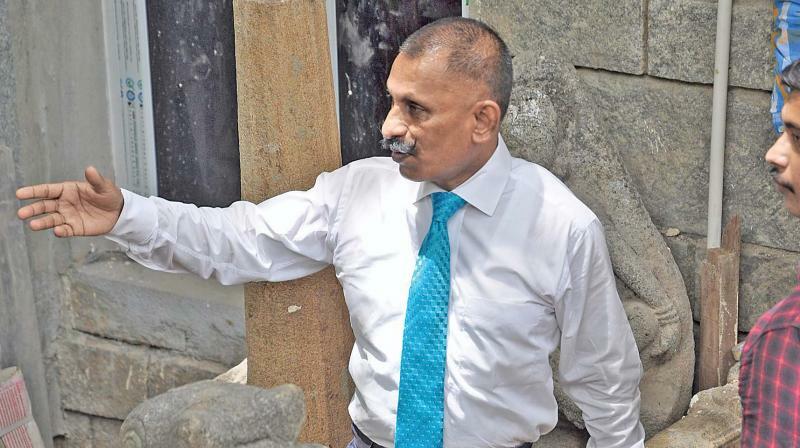 A posting in the Railway Police is generally considered dull and dusty, but not for senior IPS officer Pon Manickavel. He had seen many transfers and postings, when transferred as IG, Railway Police, the tough cop launched into top gear and issued a bomb of a circular telling his officers and men they should report crime to him “within 120 seconds of coming to know of it”. Within a couple of days of assuming charge, Pon Manickavel issued the circular to the 45 railway police stations telling them strictly he should be informed of any crime coming under their jurisdiction within two minutes of coming to know of it. We should consider it our great fortune that Inspector General (IG) of Police, Railways, A.G. Pon Manickavel, was given full additional charge as IG, Idol wing, CID too. Idol wings is nothing new to him !! In Mar this year, the ebullient cop - Inspector general A G Pon Manickavel, idol wing head, in a complaint filed with the Thanjavur west police stated that two statues, donated by former king ‘Poigai Naadu Kizhavan Aadhithan Suriyanagiya Thennavan Moovenda Velaan’ to Raja Raja Chola during the construction of the temple 1,000 years ago, had gone missing. While the value of Raja Raja Chola statue could be ₹60 crore, Logamadevi’s idol is worth ₹40 crore in the international market, said officials while Thanjavur police estimated that those statues could have been stolen 50 years ago. miles away in Ahmebadad lies the ‘Calico Museum of Textiles’ housing comprehensive collection of Indian textiles. The Calico collection along with the Sarabhai Foundation collection of outstanding bronzes, pichhwais, Jain art and Indian miniature paintings are housed in The Retreat in the Shahibag area of the city. 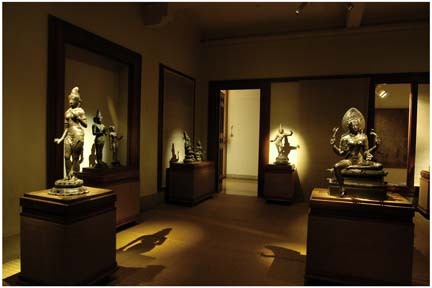 The museum was founded in 1949 by the industrialist Gautam Sarabhai and his sister Gira Sarabhai. Ahmedabad at that time had a flourishing textile industry. The museum was originally housed at the Calico Mills in the heart of the textile industry. But as the collection grew the museum was shifted to the Sarabhai House in Shahibaug in 1983. Raja Raja Chozhan I (ராஜ ராஜ சோழன்), born Arulmozhi Thevar respectfully known as Peruvudaiyar, a great Emperor who ruled between 985 and 1014 CE took the Chola glory to greater heights. By conquering several kingdoms in India, he expanded the Chola Empire as far as Sri Lanka in the south, and Kalinga (Odisha) in the northeast. He was a great patron of Tamil literature as during his reign the texts of the famous Tamil poets Appar, Sambandar and Sundarar were collected and edited into one compilation called Thirumurai. The imposing structure ‘Thanjai Periya Kovil’ ~ Peruvudaiyar Kovil (தஞ்சைப் பெருவுடையார் கோயில்) is one of India's most prized architectural sites. Built by emperor Raja Raja Chola I and completed in 1010 AD, the 'Big Temple', turned 1000 years old in 2010. The temple is part of the UNESCO World Heritage Site known as the "Great Living Chola Temples". The vimanam is 216 ft (66 m) high; the kalasam the bulbous structure on the top, is carved out of a single rock and it weighs around 80 tons. There is a big statue of Nandi (sacred bull), carved out of a single rock, at the entrance measuring about 16 feet long and 13 feet high. The entire temple structure is made out of granite, an axial and symmetrical geometry rules the temple layout. The idol wing of the CID of Tamil Nadu retrieved two stolen bronze statues of King Rajarajacholan and his queen Lokamadevi from the Calico museum in Ahmedabad in Gujarat this day. The antique statues of Big Temple in Thanjavur worth several crores of rupees would be brought back to Tamil Nadu on Thursday. Reports suggest that the idol wing - led by inspector general of police A G Pon Manickavel - carried out investigations with the authorities of the museum managed by the Gautam Sarabhai Foundation. Police said evidences collected by the team during the three months of investigation proved that the statues kept in the museum had been stolen from the UNESCO-tagged World Heritage Brigadeeswarar or Big temple in Thanjavur more than five decades ago. The wing estimated the value of the two statues measuring 74cm tall at more than Rs 100 crore in the international market considering it is a Panchaloha (made of five metals, including gold) and in view of its antiquity value. 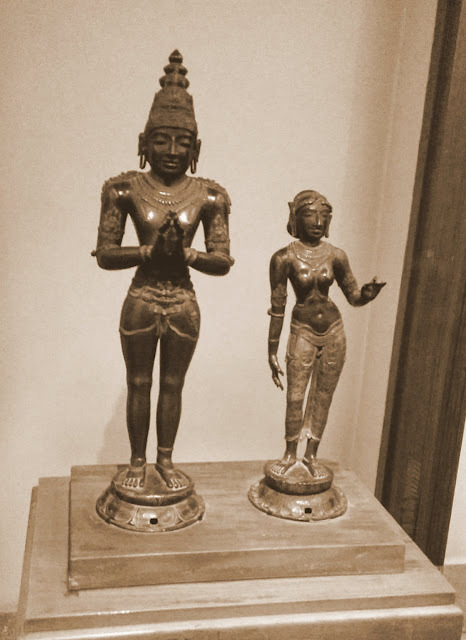 The theft of the antique idols had come to light after the idol wing team visited the temple in March 2018. The preliminary investigation of the case was carried out by the deputy superintendent of police (DSP) Venkataraman after he lodged a complaint with the Thanjavur police. An idol wing, team wing led by additional deputy superintendent of police Rajaram, is expected to bring the statue to Chennai on May 31, 2018.